Introducing our first new payment provider. CashNotify is officially 1 year old today 🎉! 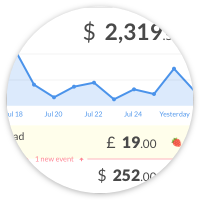 In one year, the app evolved a lot and now helps hundreds of entrepreneurs keep an eye on their Stripe accounts. Today, we’re excited to tell you that we’ve been working on adding new payment providers to CashNotify. The first one is Stellar. 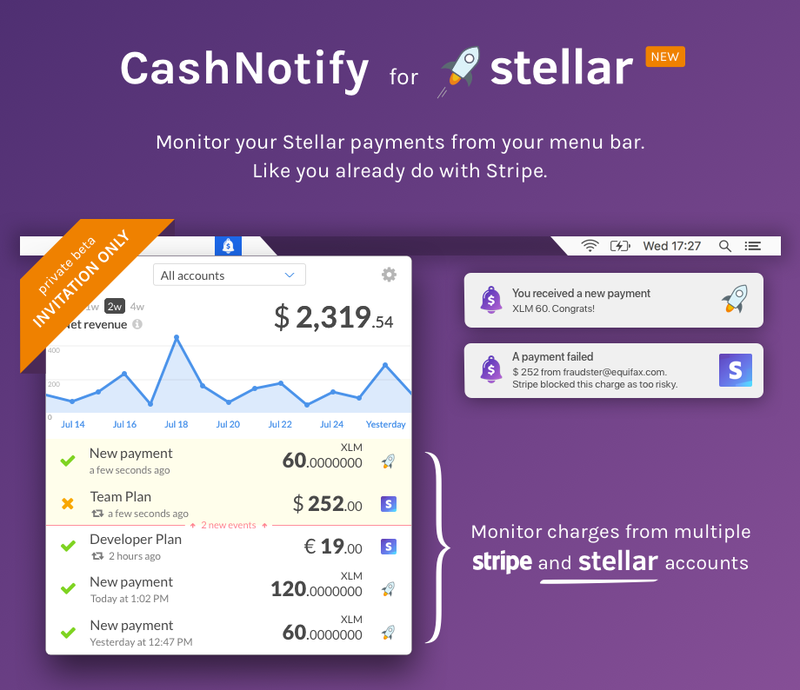 Sign up on cashnotify.com/stellar/ to try CashNotify with your Stellar account. The Stellar network is a decentralized payments platform. It’s fast, reliable, and the fees are so low that they’re almost inexistent. The network has its own digital currency, called lumens (XLM). The team and advisors behind the project are remarkable. Stellar does not suffer from scalability issues like some other decentralized networks. Their live dashboard already shows days at 500,000+ operations. The transaction fees on the Stellar network are incredibly low compared to traditional payment providers. Money moves at almost no cost. We’ve been blown away by the quality of the documentation, the API’s design, and the tools for developers. The Stellar platform make us happy to write code. This makes us believe in the platform’s potential for mass adoption. Every 3 months, Stellar runs a challenge for creators building on the Stellar platform. It’s a great way to boost the growth of the Stellar ecosystem. Winners are selected by a panel of judges and awarded prizes in lumens. Here are the winners for the last challenge, and here is our own entry on the forum. The deadline was an ideal motivation to push ourselves to release a first beta.